Established in 2015 by co-owners Tom Park and Justin Park, Bar Leather Apron provides an intimate bar experience in downtown Honolulu. Located on the mezzanine level of the Topa Financial Center, our bar offers finely crafted cocktails, spirits, beer, and wine. Inspired by their international travels, Tom and Justin sought to bring home, under one roof, the aspects they admired most from some of the best bars in the world. Every element of the Bar Leather Apron experience has been carefully considered. A good cocktail is a wonderful thing, but the moments that surround each sip are what make it truly memorable. Co-founders Tom Park and Justin Park share more than just a last name (though they are not related to each other). They also share a passion to create the best bar experience for their guests. 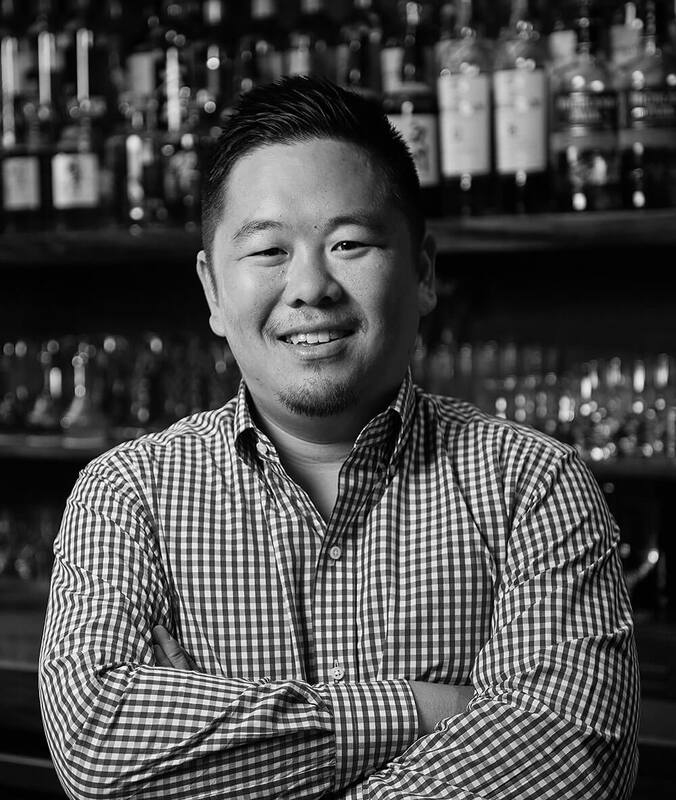 Justin Park is Bar Leather Apron’s head bartender and ambassador. 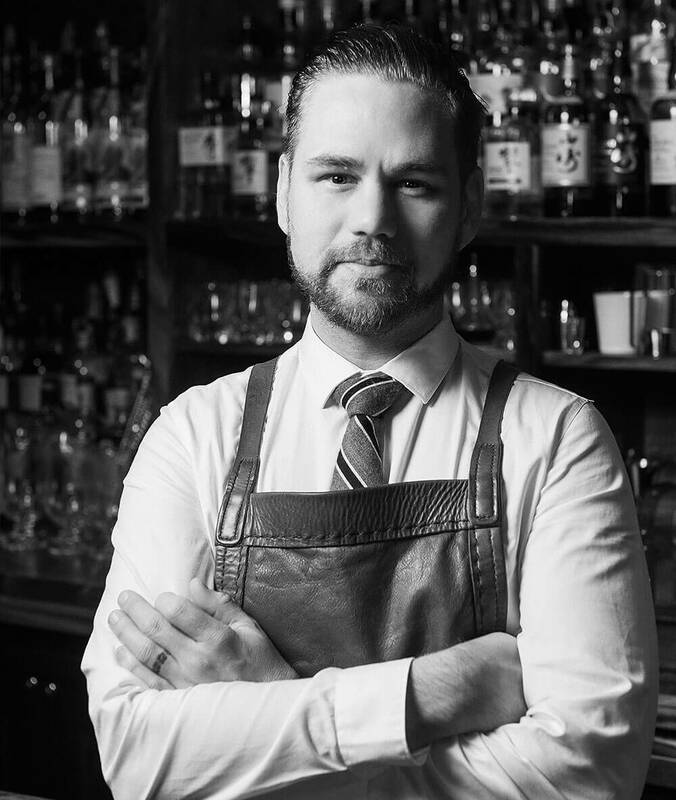 With over a decade of experience behind the bar, Justin has long fostered a dream of operating a bar dedicated to the highest level of customer service, superior cocktails and surprising details. His approach to cocktail creation sees the drink as merely one component of the entire bar experience—presentation, service and setting are equally as important as what is in the glass. 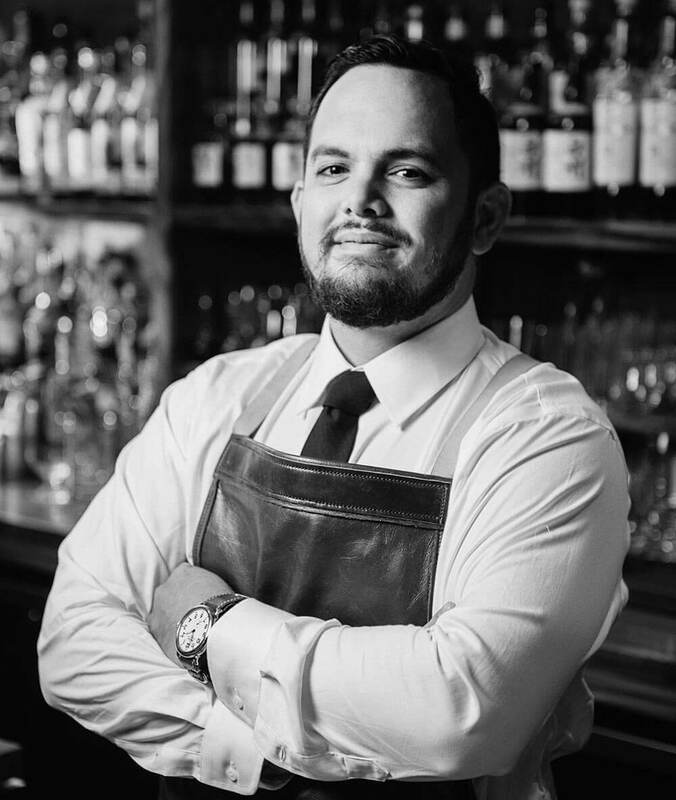 Competing on national and international levels has provided Justin with the opportunity to experience some of the best bars around the globe and learn techniques from the world’s top bartenders. He is the only three-time winner of the Don the Beachcomber Mai Tai Festival “World’s Best Mai Tai” competition (2012, 2015, and 2018); Bombay Sapphire/GQ’s “Most Inspired Bartender” (2012); Technical Champion of the Campari & United States Bartenders’ Guild (USBG) Apertivo Competition (2013); Best Technical (2014, 2015) and Overall First Place winner (2014) of the “Shake It Up!” Cocktail Competition; USA representative and Best Garnish/Decoration winner in the International Bartenders Association (IBA) Pan American Cocktail Competition (2014, 2017, 2018); and the USA representative and Fourth Place Fancy Cocktail winner in the IBA World Cocktail Competition. Tom Park is Bar Leather Apron’s business manager and is responsible for developing the BLA brand and overseeing marketing and PR. He is the founder and owner of Leather Soul, a retailer of premium men’s shoes and accessories. It may seem a far leap from shoes to cocktails, but Tom doesn’t see it that way. The two, he believes, have much in common. Both require attention to detail in order to achieve the best of their craft. Both acquire passionate devotees. And both have a tradition of revered classics inspiring continuous reinvention to keep things fresh. Tom is a past Small Business Administration (SBA) Young Entrepreneur of the Year (2008) and Hawai‘i Korean Entrepreneur of the Year (2012). Leather Soul has been named one of the top men’s stores in the U.S. by GQ and Esquire magazines to name a few. Tom carries over the Leather Soul philosophy of dedication to customer service and fine details to Bar Leather Apron. Paul Schreuder first met Justin Park while working at a well known chain restaurant over 10 years ago. At that time Paul was a bartender and Justin was a server. The two kept in touch and now Paul has joined Justin’s team, here at BLA. Born and raised in Cape Town, South Africa, Paul left his home after high school with just a backpack full of belongings. After three years in London and three years in Chicago, Paul made his way to Hawaii thirteen years ago. Having worked in and been around the restaurant business all his life, hospitality is his passion and he has been fortunate to meet and work with so many talented people in the industry. Paul’s competition experience started off with a 3rd place finish in the World’s Best Mai Tai Competition in August 2017 in his first ever competition. He followed that up by winning the 2018 Hawaii qualifier of the Bombay Sapphire Most Imaginative Bartender and representing Hawaii at the US Finals.